Leading US gambling authority, AGA files official objection to PokerStars’ acquisition of Atlantic City casino. The American Gaming Association, one of the country’s top trade groups representing the land gambling industry, has become the first official group to file an objection to the re-entry of PokerStars online poker room into the United States market. The AGA objects to the recent acquisition of a failing Atlantic City casino, The Atlantic Club by PokerStars, in a bid to enter the newly legalized online gambling market in the Garden State. The association claims that the integrity of the US gambling industry will be compromised by PokerStars’ successful entry into the New Jersey industry, and has asked the Casino Control Commission and the Division of Gaming Enforcement to reject the group’s request for permission. In its brief filed yesterday, the AGA claimed that PokerStars operated a business with a history of intentional, uninterrupted and criminal violations . Additionally, the AGA believes that the poker room is unable to demonstrate the good character, honesty and integrity needed to operate under New Jersey legislation. 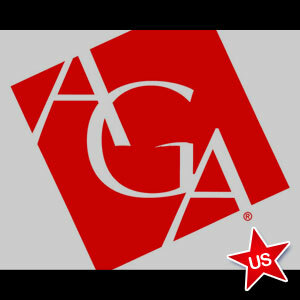 The AGA usually remains neutral when it comes to the licensing process by individual states and this is the first time in the association’s history that it has stepped in to intervene. The brief also touches on the way PokerStars sought ways to circumvent the Unlawful Internet Gambling Enforcement Act of 2006 by facilitating payment to their players in ways that were not regulated by US banking laws. In response, operators of PokerStars, Rational Group said that the matter was one that expert regulators had to determine and not self interested partisans picking a public fight . Rational Group further pointed out that PokerStars was a well respected gambling group in many other countries, and held gambling licenses in some of the most tightly regulated European jurisdictions. The group added that it intended to continue working with New Jersey regulators and would participate fully with all requirements of the licensing process.